The big joke in my family is, “Hey, we need more bananas”. It’s because we have a plethora, all in different stages of ripeness. It’s a Costco problem. I seem to go there too much. And, I can’t leave without a bunch of bananas. Since it is still feeling a little cool outside and I have an oversupply of really ripe banana’s, I’m making banana bread. This is a recipe I’ve had for a while and have modified to our tastes. Don’t even remember where it originally came from It’s one of the down to the basics kind of recipes I love. No crazy unpronounceable ingredients here! Mash those bananas. I leave them a little chunky. 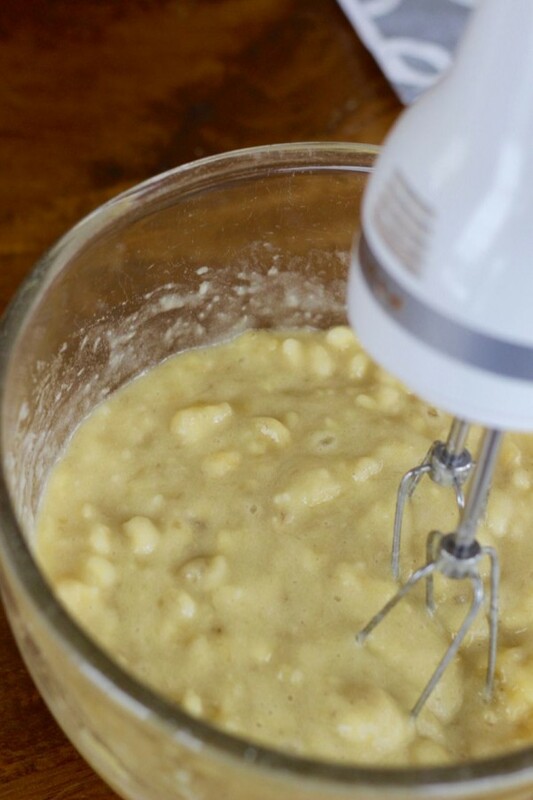 You can totally cheat and use a mixer to mash them! 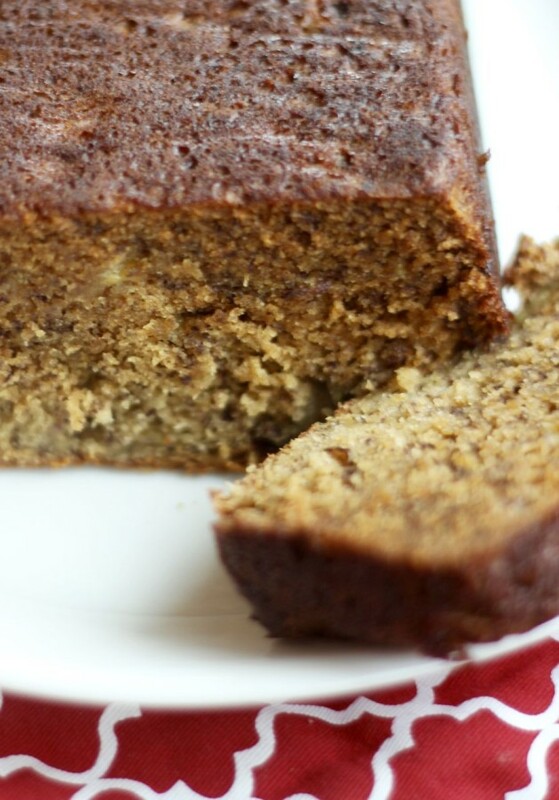 Mix in butter into the mashed bananas in a large mixing bowl. Mix in the sugar, egg, and vanilla. Sprinkle the baking soda and salt over the mixture and mix in. Add the flour last (mix your cinnamon into the flour, if using) mix. Pour mixture into a buttered 4×8 inch loaf pan. Bake for 1 hour. Everything bakes fast in my oven. I check closely once I hit about 50 minutes. If suffering from AAADD, set timer to remind you when it’s done. Cool on a rack. Remove from pan and slice to serve. Yield: Makes one loaf. Recipe easily doubles. Should freeze well but I’ve never had to ’cause it gets eaten every time. 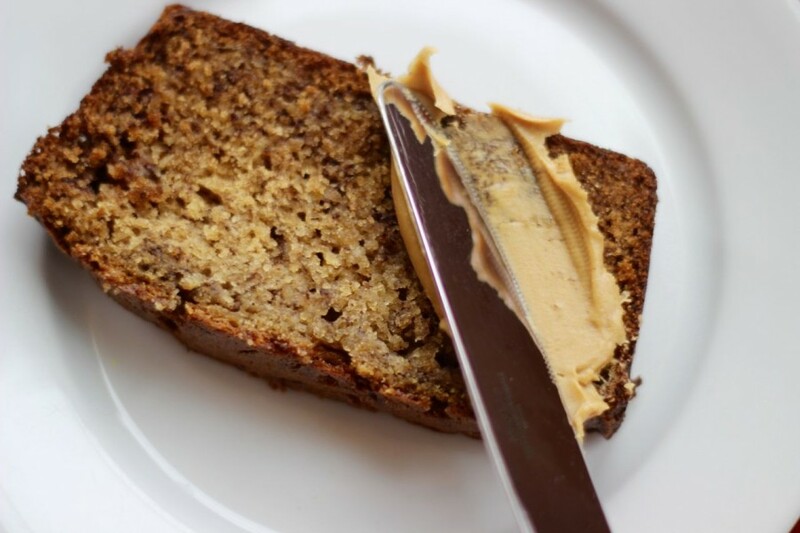 One of my friends told me she loves banana bread for breakfast with some peanut butter! It really boost the protein of this breakfast. Absolutely delicious and so easy to make. Thank you for the recipe. This one is a keeper! Thanks for reading my blog! Hope you enjoy it. I’m not so awesome – just bored during the never ending Wisconsin winter.